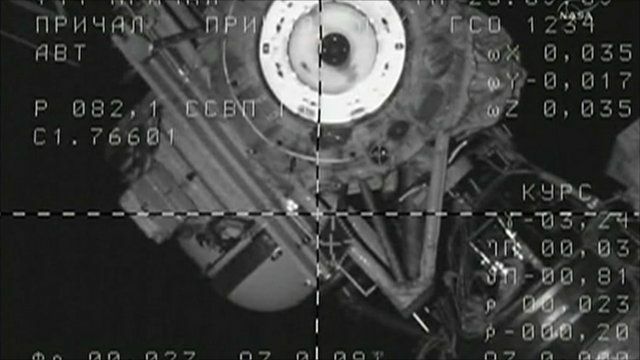 International Space Station docking Jump to media player A Russian Soyuz capsule has docked with the International Space station delivering a multinational crew for a five month stay. 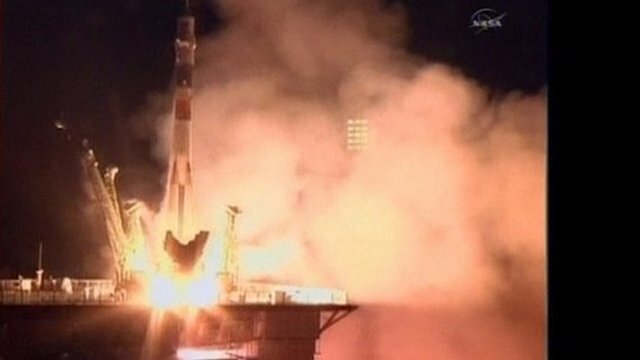 Soyuz blasts astronauts into space Jump to media player A Soyuz TMA-20 spacecraft carrying astronauts from the US, Russia and Italy blasted off from Kazakhstan heading towards the International Space Station. A Russian Soyuz capsule has docked with the International Space station delivering a multinational crew, two days after setting off from Kazakhstan. The American and Italian astronauts and a Russian cosmonaut arrived for a five-month stay. Dmitry Kondratyev, Catherine Coleman and Paolo Nespoli will join three others on board the space station.